World Land Trust (WLT) has helped safeguard more than 2,500 acres (1,000 hectares) of Colombia’s threatened Chocó Rainforest. In the past few months donations to WLT have been used to complete the purchase of two properties to extend Las Tangaras Bird Reserve, one of the most diverse tropical forest sites on Earth. 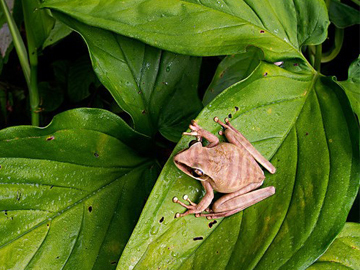 The reserve is managed by Fundación ProAves (ProAves), WLT’s conservation partner in Colombia. 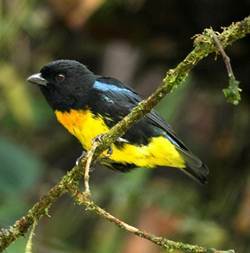 The area is home to several rare and threatened bird species, including two endemic bird species: Golden-ringed Tanager (Bangsia aureocinta) and Black-and-gold Tanager (Bangsia melanochlamys), as well as threatened mammals such as the Spectacled Bear. The smaller of the two properties is 688 acres (278 hectares) and lies within the core reserve area. This strategically important purchase protects a core watershed of the Rio Atrato and habitat for a range of flora and fauna. Completed in April, the purchase was made possible by funding from an individual donor to WLT along with additional support from WLT-US and American Bird Conservancy. Of the total property, 213 acres (86 hectares) are forested with the remainder being pasture, and ProAves’ management plan for the site includes an element of tree planting. The property has 4.6 km of road running through it which makes the site easier to manage and to patrol, as well as making reforestation more straightforward. The larger of the two properties is 1,869 acres (756 hectares). 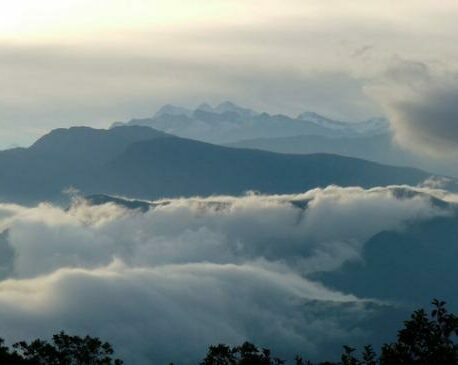 The property borders the existing reserve to the north and south, and provides a connection with a further 2,900 acres (1,174 hectares) south of the reserve which ProAves hopes to protect in the future. The second purchase was made possible by a combination of funds including donations raised during the 2011 Big Give Christmas Challenge, and support from corporate supporter Ocean, and a private donor. American Bird Conservancy also contributed funds, and the land purchase was completed at the end of July.